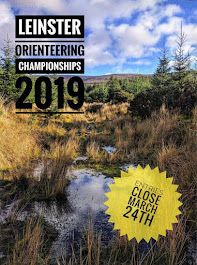 Curragh Naas Orienteering Club: Message from the Chairman. Our summer series has come to an end and was, I believe, a good series of challenging orienteering for the serious orienteer, and a fun family series for the not so serious ones. Helped in no small way by the excellent weather we had unprecedented turnouts. What may have seemed like a well oiled machine pumping out events was in fact a group of dedicated souls barely managing to keep the fires at bay. At Donadea the download box failed and the event had to be reconstituted from the SI boxes. For the Curragh Lumville when over two hundred people took part. We ran out of maps, SI Cards and even entry forms. Hillwood at least went without a hitch possibly due to the fact that the event was run by Orla, Ollie & Billy, all army personnel! . At the Curragh Sunnyhill, a traveller wedding threatened the event when they took over the parking area but fortunately departed just days before. Also one of our control putterouters forgot to put kites on some of the stakes and I erroneously accused a group of young lads of stealing them. How they could possibly have found them I never stopped to consider! At Hollywood I dished out the wrong maps to the short course competitors, who ended up doing 4k. To compound this, the events that I had the evening before loaded onto the computer had mysteriously disappeared and all had to be re-entered on the fly. All in a days work for the many of us who helped over the series. A big thank you to you all and to all who supported our events. I took in the last of the controls at Hollywood forest yesterday and when I spotted a negative imprint in a bog, of what looked uncannily like Finn van Gelderens lower half I felt it was all worth while.